This week, the Queen Elizabeth 2 visited Southampton, England for the last time ever. The cruise liner is making its final voyage before coming to rest in Dubai, United Arab Emirates to live out the rest of her days as a floating hotel and museum. You may have heard in the news that she ran aground on her way into Southampton, but sustained no damage. 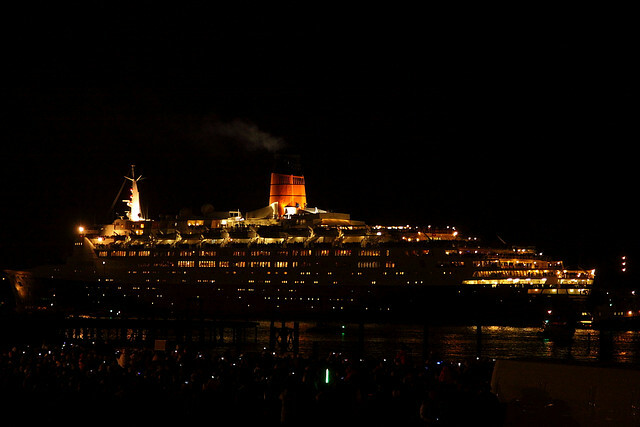 She departed Southampton with fireworks and ceremony, a proper farewell for a ship of such notoriety.